Eddie Taubensee knew he had a lot to work on. His troubles were clear in his numbers. This was 1989, Taubensee's fourth season as the pro, and the minor leaguer had just finished a campaign where he both hit poorly and had trouble behind the plate. His batting average over two levels that year came in at just .196. "Everything. I needed to work on everything," Taubensee recalled to The Greatest 21 Days recently. 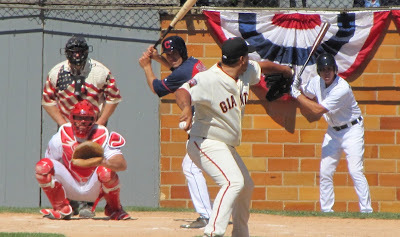 "I needed to work on my catching, my hitting, to be consistent and better and better. It took a lot of work to get better." He put in that work at home that off-season. "I really had to look at my game and look at my hitting and really evaluate myself and change some things," Taubensee said. "After that, some things started to come together and they started to click." He played the next year at single-A Cedar Rapids and he put up better numbers. The year after that, he made his major league debut. 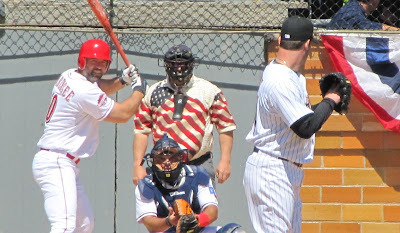 By the time his career was done, Taubensee had logged time in 11 major league seasons, seven of those seasons coming with the team that first drafted him, the Reds. He also played with the Indians and Astros. In those 11 seasons, Taubensee amassed time in nearly 1,000 major league games, hit 94 home runs and turned in a career batting average of .273, markedly better than that minor league season of 1989. Taubensee's road to the pros and the majors began as he grew up in the Orlando area, first playing catch with his dad and then with friends. When he was 10, he recalled deciding he wanted to tryout for a baseball team. He did and it went well. He also seemed to already be one of the better players on the team. "I realized I was a pretty natural good ball player," Taubensee said. "I was a very active boy. I loved to play all kinds of sports, but baseball, baseball was my love. I played baseball all year round since I was 10 years old." He also loved his chosen position of catcher. "I thought there was something neat about putting on the gear," Taubensee said. It also ended up being the right position. Taubensee was a left-handed hitting catcher, a rarity, he was told, that would provide a quick path to the majors. But turning pro, Taubensee recalled not realizing that he had a chance to do that until his senior year in high school. Scouts came to watch him and others during games and at camps. The scouts peppered him with questions. How big were his hands? His feet? Did he shave yet? "I was a late-bloomer to the scouts so they knew I was going to get bigger and stronger," Taubensee said. When draft day 1986 came, Taubensee knew he was going to get taken. He just didn't know where. Still just 17, Taubensee ended up going to the Reds in the sixth round. "I was really excited that the Reds decided to take me that high," Taubensee recalled. "As soon as they offered me any kind of money, I took it and I signed and started my journey." He graduated from Lake Howell High School two days later and he was off to rookie ball in Sarasota. It was a big jump, he recalled. It was also his first real job. He got paid $700 per month. "I thought, 'how am I going to spend all that money?'" Taubensee recalled, "because that was a lot of money." The transition on the field wasn't an easy one. Everyone was good. He was also facing pitching he hadn't seen before, he said. "I didn't do too well my first year," Taubensee recalled. "I had a lot of work ahead of me." 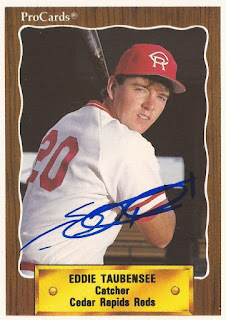 He got into 35 games that year in the rookie Gulf Coast League, hitting .196. He said he realized he was just starting out. His coaches kept working with him. He also went to instructional league that fall. "I knew I had some time to work things out," Taubensee said, "and they were being patient with me." In his second and third years, he got better. He hit .265 at rookie Billings in 1987. 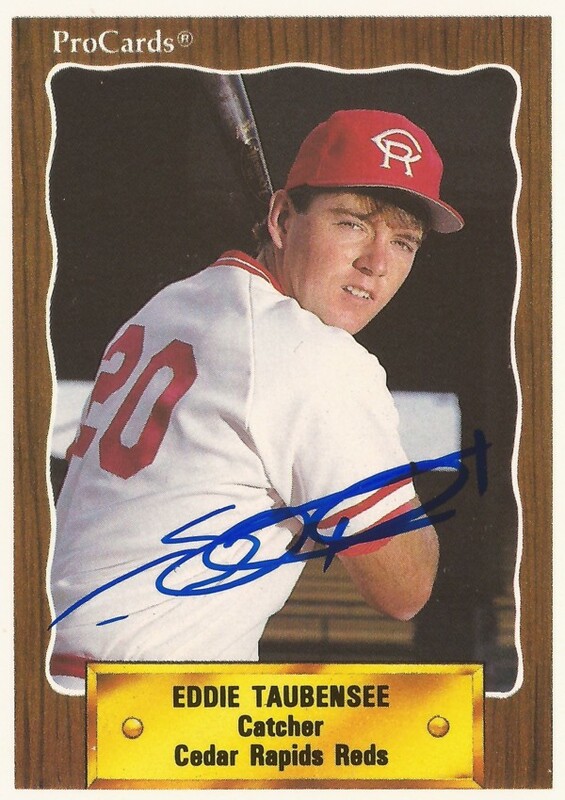 In 1988, he hit .254, spending most of the season at single-A Greensboro. He also got five games at AA Chattanooga. It seemed like the more playing time he got, the better he played, he recalled. But then came that 1989 campaign, where he seemingly regressed. He played the year between single-A Cedar Rapids and Chattanooga. His average didn't hit .200 in either location. 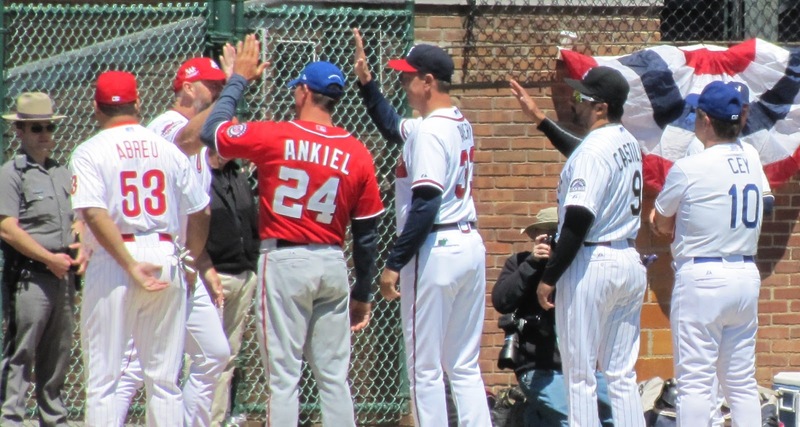 "That was a turning point really in my minor league career," Taubensee said. Taubensee went back home, worked with a coach and hit off a tee. His goal was to learn how to hit to all fields better. He returned to Cedar Rapids for all of 1990. He improved his average to .259. He also hit a career-high 16 home runs. 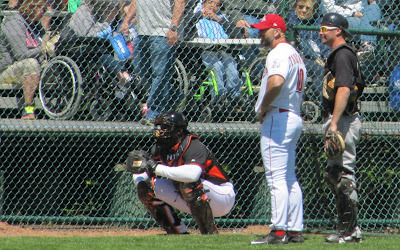 Despite his turn-around, the Reds left him unprotected in that November's minor league draft.